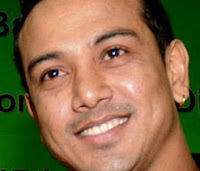 (From India Today)Goalkeeper Bharat Chettri was named captain of the Indian hockey team for the London Olympics on Monday.The 16-member squad and two stand-bys were announced by Hockey India (HI) after a two-day (June 6-7) trial at the Balewadi Sports Complex in Pune.The trials were witnessed by HI selectors B.P. Govinda and Balbir Singh, with chief coach Michael Nobbs, assistant coach Mohammed Riaz, exercise physiologist David John and government observer Harbinder Singh.Sarvanjit Singh and Kothajit Singh are the two stand-bys while Sardar Singh has been named as the vice-captain.Eight-time champions India have been clubbed with Germany, the Netherlands, South Korea, New Zealand and Belgium in Group B. Australia, Great Britain, Spain, Pakistan, Argentina and South Africa are in Group A.
India start their campaign against the Netherlands, July 30 at the Riverbank Arena. They next face New Zealand, August 1, Olympic champions Germany (August 3), South Korea (August 4) and Belgium (August 7). All the matches will be played on blue artificial turf with yellow kookaburra balls. The pitch has pink runways. The Indian team will reach London July 19 after its Europe tour of France and Spain. India, who missed the 2008 Beijing Games for the first time in 80 years, qualified for the 2012 London Games beating France 8-1 in the final match of the qualifier here earlier this year.